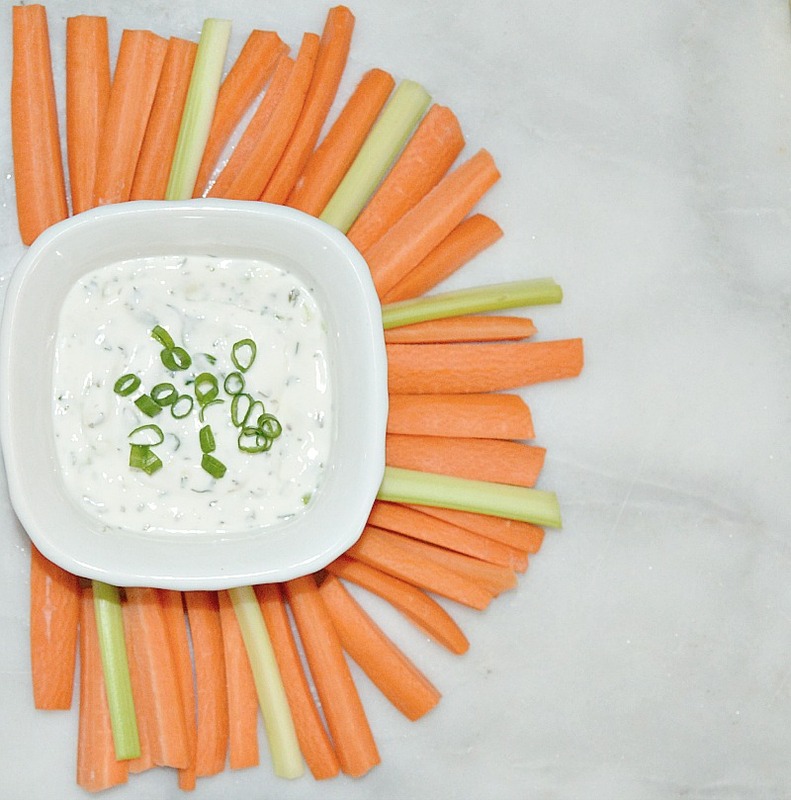 This recipe for fat free ranch dressing uses fresh ingredients that give a lot of flavor. I used fat free mayo and skim milk along with fresh herbs for a healthy version. This recipe tastes great with vegetables for a guilt free snack. You can make it as thick as you want as a dipping sauce or add more milk to drizzle on a salad. There are easier versions of homemade ranch dressing that have dried seasonings. Those are great too, and substituting any of the ingredients for dry will work well. It is still healthier than store bought and you can still pat yourself of the back for making it yourself. Ranch dressing recipe with fresh ingredients. In a medium bowl mix sour cream, mayonnaise and milk. Add the rest of the ingredients and blend well. Add more or less milk depending on desired consistency. 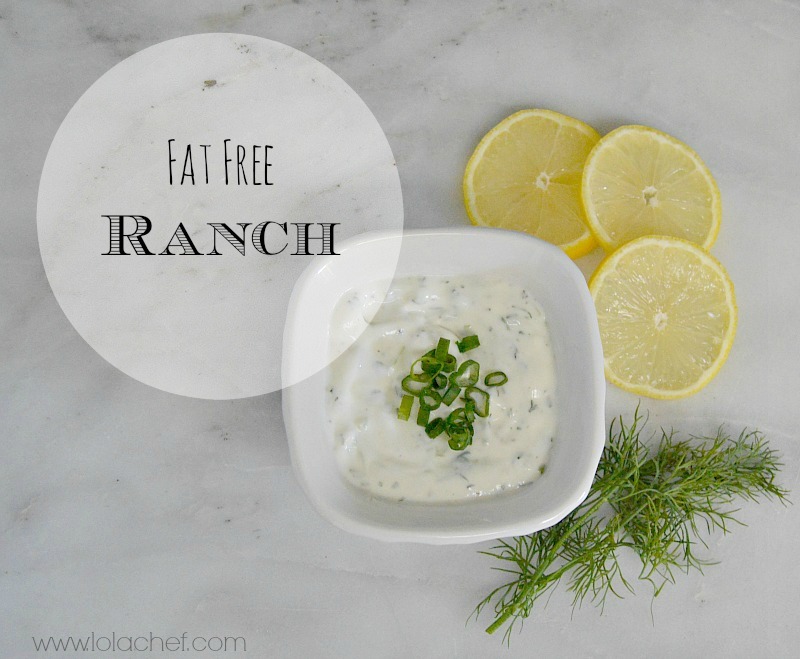 There are so many ways to do a fat free ranch, you can only use mayo and milk, or sour cream and milk. Or, if you don’t want to go too extreme you can simply use low-fat ingredients. Of course, if you want a rich ranch dressing go all out and use whole milk and regular sour cream and mayonnaise. Any way you choose, when you make it yourself you can tweak it to your liking. You can’t go wrong with something that tastes great and is healthy at the same time.